JunkStyles x LowLifeStyle presents: The JunkFood Meet – a combination car show & food truck festival located on the Delaware River banks in Chester, PA. 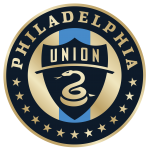 The event will be held at Talen Energy Stadium – Home of the Philadelphia Union MLS club – in the abandoned Sons of Ben lot. The JunkFood Meet has become a fan favorite within the car community, the street food community, and our local community as well. We’ve decided it was time to spread these good vibes to a larger market. • Food Truck & Vendor Set-up: 9am-11am. • VIP & Invitational Vehicles: Check-in at 10am. • Pre-registered Vehicles: Check-in 10:30am-11am. • Day-of Registration *If available*: Check-in at 11:15am. • And more – stay tuned! Food Trucks/Food Vendors: Talen Energy Stadium and their food & beverage department have good relationships with a number of the Philadelphia Area’s best food trucks, so we are happy to partner with them and grateful for their help on this aspect of the event. If you are interested in becoming a food vendor, however, we can pass on your information so that the stadium can contact you with details on how to jump on board.